STORY: "Who is the strongest hero in history!? In order to solve this conundrum, a professor completed a time machine and used it to test the might of warriors from different ages. Unfortunately, he was unable to find an answer. A year later, six new heroes appear. Now, the largest battle of history is about to begin." Improved selection screen... better artwork, character info, and.... Borders!!! Wooo! 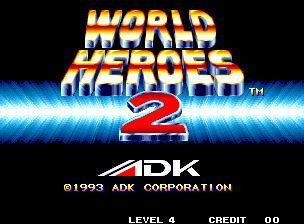 REVIEW: World Heroes 2 is the first title to feature the "ADK" logo, as the developer changed their previous name from Alpha Denshi. 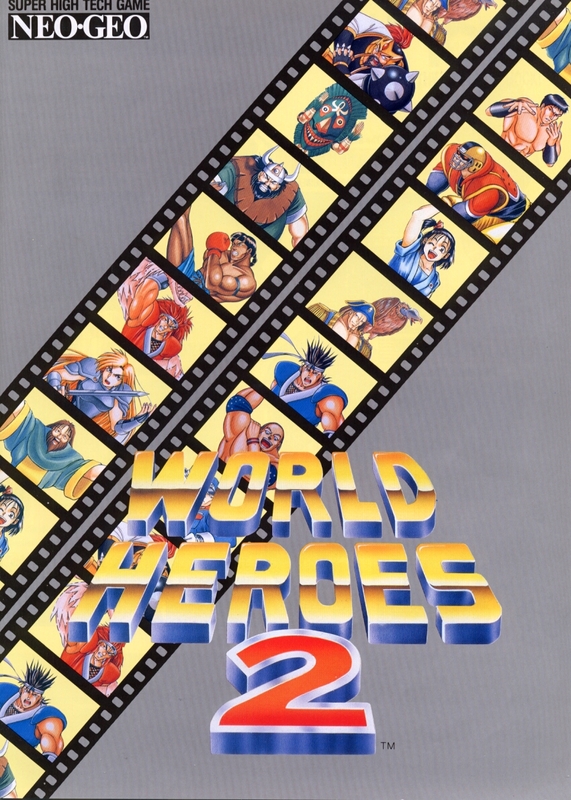 The sequel to World Heroes adds a few more characters, moves, stages, a new life bar selection option, naturally making the game an improvement over the original by adding much more variety. World Heroes 2 also implements an innovative, yet somewhat "nonsensical" new life bar system. 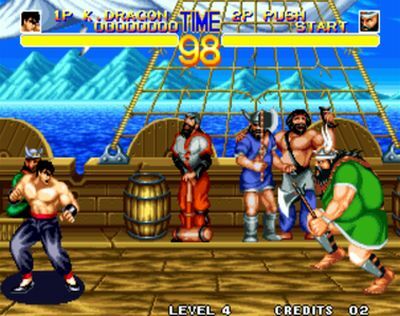 Before the match begins, players have the option to swap out the standard "double life bars" layout for a "single life bar" that both players share. 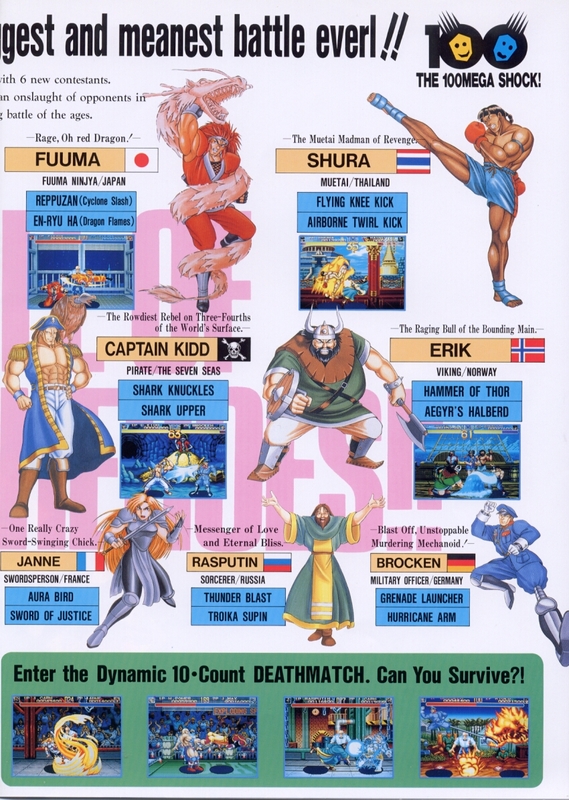 In the "Deathmatch Game," a single lifebar will go back and forth as characters are damaged, and a K.O. 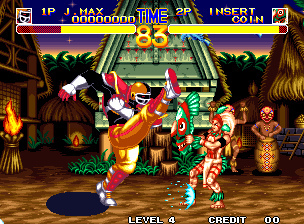 occurs when the lifebar is depleted on each respective side. No, it doesn't actually make much sense in terms of how a fight works... but hey, you can't blame ADK for trying to be creative during a time when the fighting genre was incredibly competitive. 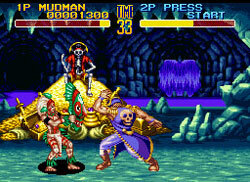 The stage hazards from the prequel also return when playing a Deathmatch Game. J. Max & Mudman... two of the newcomers. 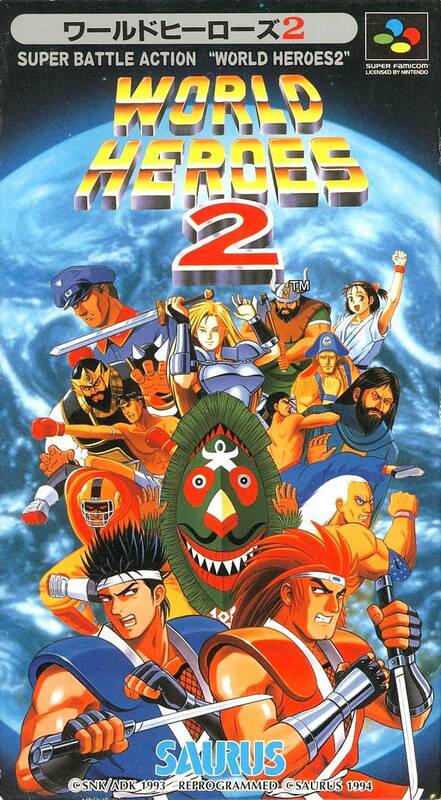 The new character designs of World Heroes 2 are an arguably odd bunch, but do manage to stand out as "original" in the fighting game universe. Newcomers like Mudman and J. Max definitely aren't copies of any existing designs, and make for a more diverse roster than in the prequel. However, as a whole, the cast still leaves something to be desired... along with the mediocre gameplay engine. 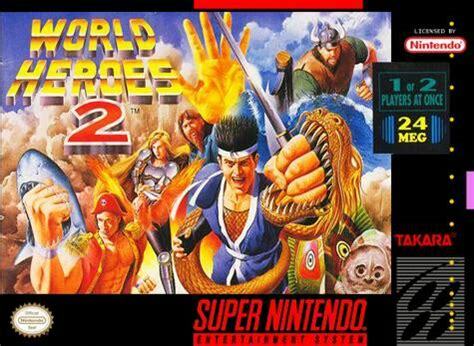 While the gameplay of World Heroes 2 is standard fare for a 2D fighting game and potentially has its fun moments, it's still a far cry from many other 2D fighters of the era in terms of innovation and actual fun. 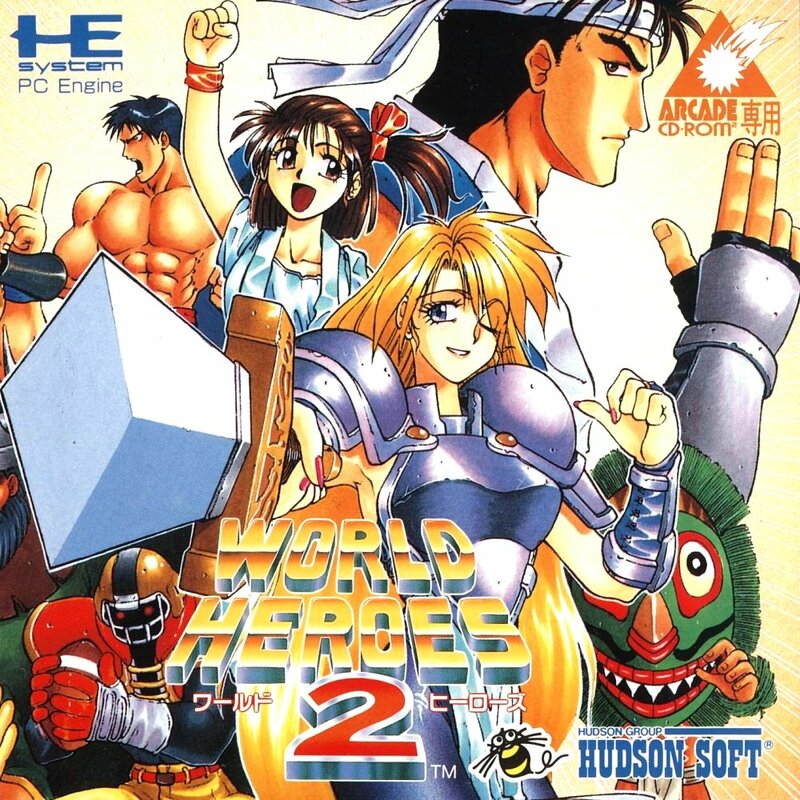 Visually, World Heroes 2 is at least a competitive title for the time period featuring large, colorful character sprites and nicely hand-drawn backgrounds. 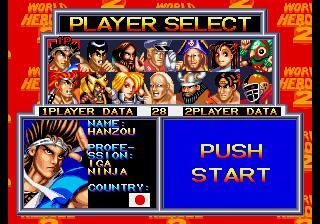 The updated character selection screen is also a huge improvement and looks much better than the first game. On the other hand, the animation and "ouch factor" left something to be desired. Janne (based off of Joan of Ark) VS Ryoko (based off of Ryoko Tamura). 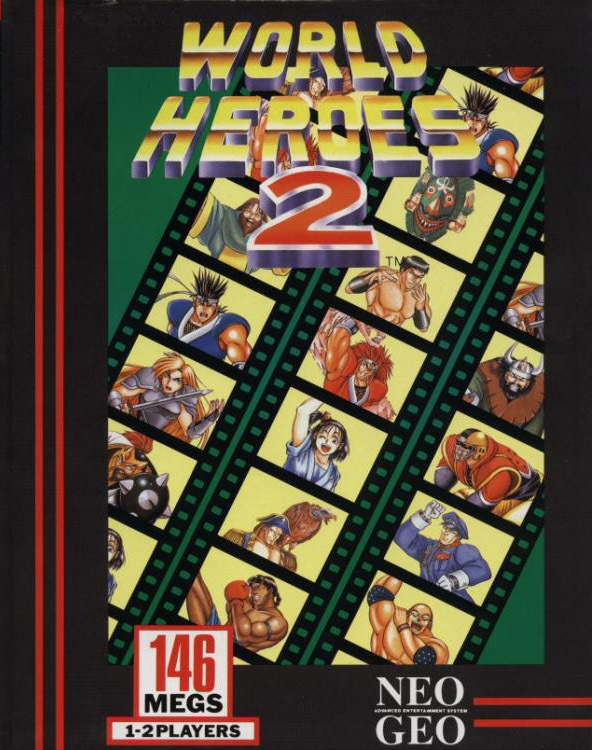 Unlike the first game, World Heroes 2 actually features an opening movie (and it's pretty good)! Perhaps the most memorable part of the intro is Hanzou facing off against the rest of the cast... I remember watching the intro over and over, from across the arcade, while playing something else. (Ouch.) 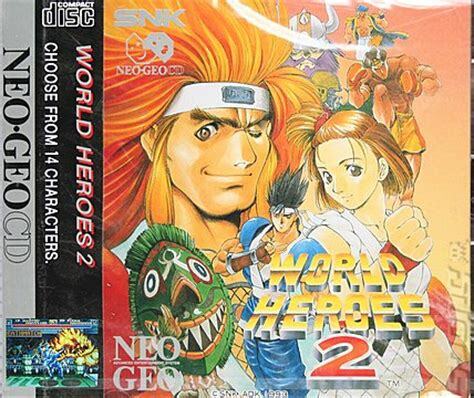 I'm sorry World Heroes... maybe I'm biased (or spoiled) because of how much I was truly enjoying other 2D fighting games at the time. 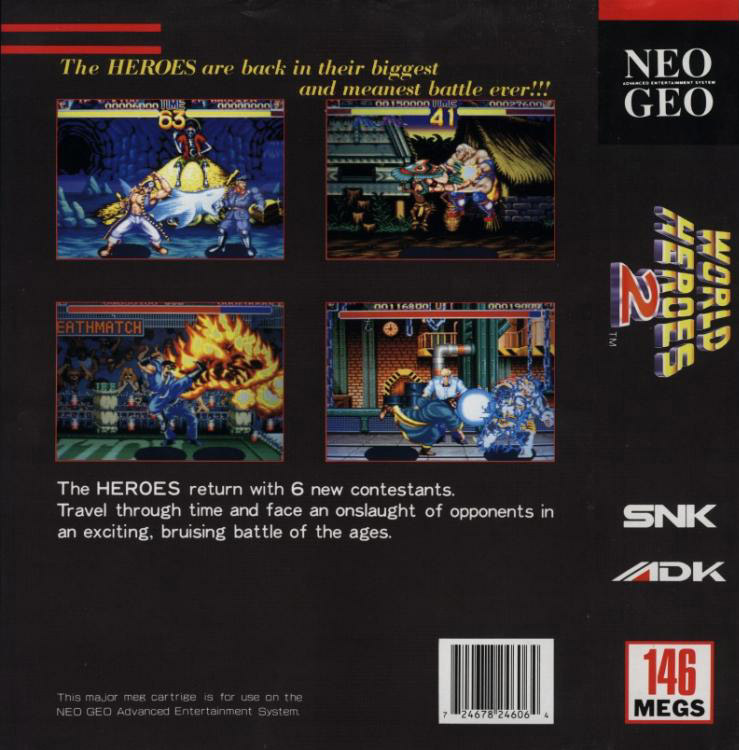 But, maybe I did make the right call after all, because I was mastering my fighting game fundamentals during that time in those games, and those games are still around to this day... when World Heroes isn't. Good thing I didn't get hooked on the idea of a single lifebar or stage hazards back then, because I'm not sure my hours of strategies regarding those mechanics would've paid off as much. 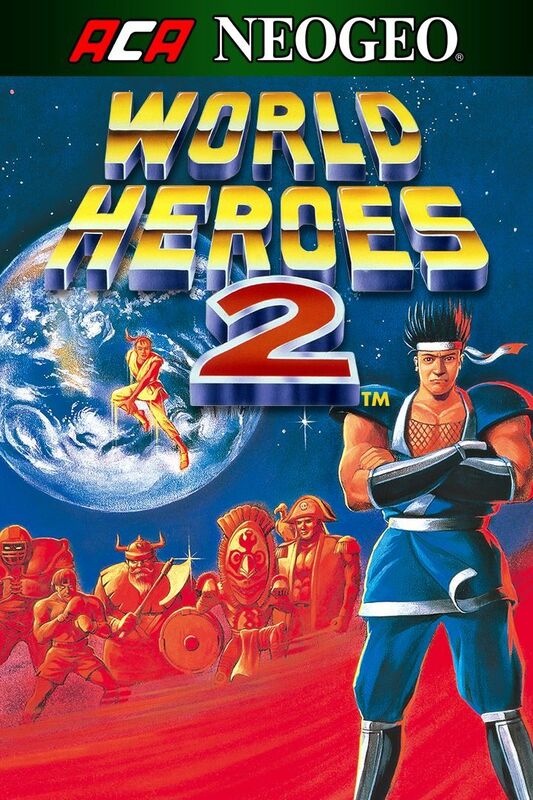 Maybe the gameplay wasn't as memorable, but World Heroes 2 was trying, at least. 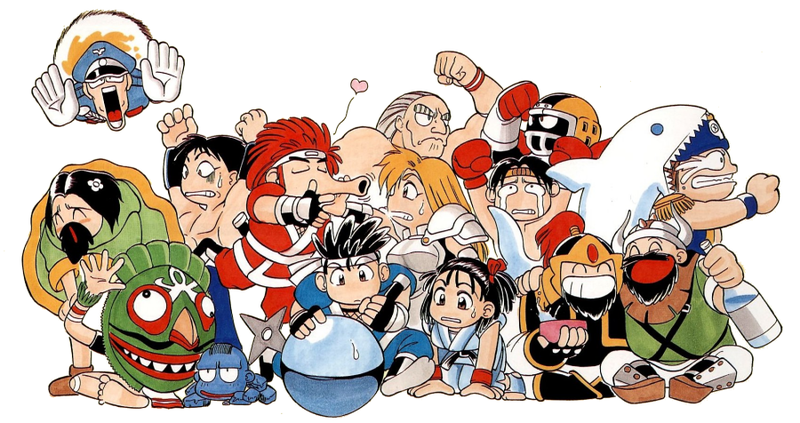 The artwork wasn't bad, and some of the character designs were starting to become more fleshed out (they had some catching up to do, considering how hugely popular some other fighting game characters were getting). 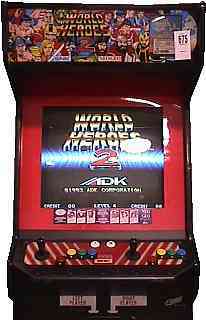 My local arcades got World Heroes 2 the year it came out, so I put some tokens in for a while, and actually had some fun with it. 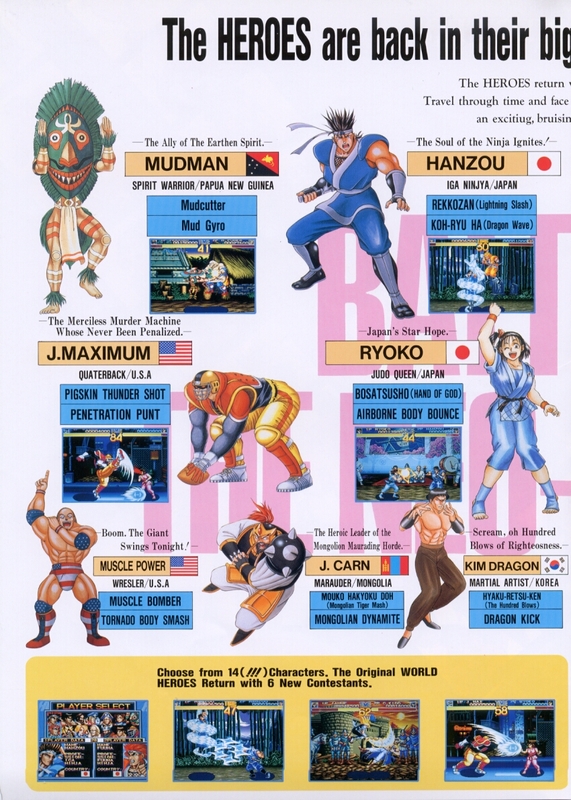 Aside from a few interesting characters and the innovative life-bar selection, there really wasn't much to the game, and was a far shot from Street Fighter 2 (and many other titles).